Focused Projections: [Comic Review] - What's so funny about 'Truth, Justice and the American Way'? [Comic Review] - What's so funny about 'Truth, Justice and the American Way'? 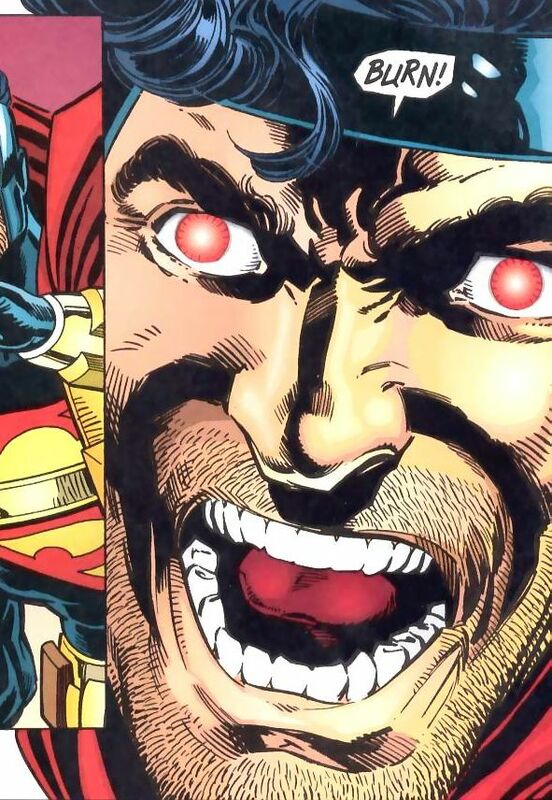 Action Comics vol.1 #775 - What's so funny about 'Truth, Justice and the American Way'? In an age of the mega-crossover-event it can feel strange to think that some of the best stories in comics used to be from limited series inside monthlies or even in single issues. 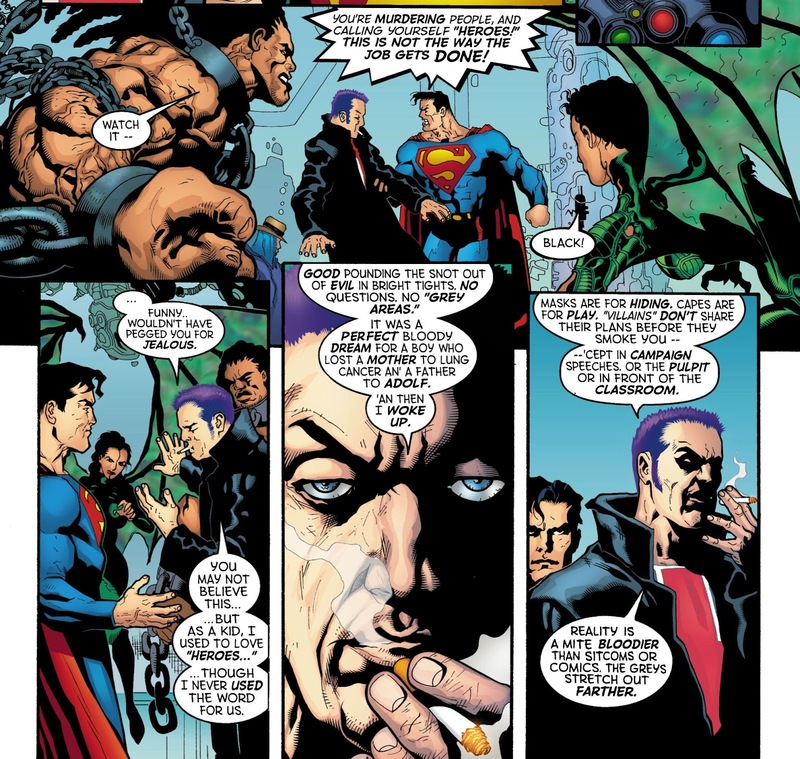 This "One-Shot", Action Comics #775 manages to pack into a single book one of the most important Superman stories since "What happened to the Man of Tomorrow". 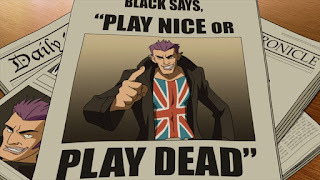 It is particularly interesting as a expression of the American backlash to the British Invasion which occurred during the 80s as Vertigo mined extraordinarily daring talent from 2000AD, like Allan More, Grant Morison, Allan Grant and... well that is a huge list I may as well stop there. The 90s is a complicated time for comics and is what I describe as the "adolescence" of the American Comic. The hope of the 60s had broken down into the decadence and nihilism of the 70s through to the 80s and comics like so much other media began to reflect this by becoming dark and violent with strong anti-establishment themes. The hokey comics of the past seamed then, and now to an extent, rather silly and dull. Stagnating in the ruts left over from decades of paper strip comics designed specifically for young children and values stemming form the end of WW2 and the baby boomers. At this time the American trust in authority was getting severely undermined by the failure of Vietnam, its government scandals and increasingly brutal acts by the police and criminals alike. There was a collective anger in youth culture, and not just in the States. The brutal realities of human nature crushed the dreams to the 60s and left us on the downward spiral to the cynicism and acceptance that defines the post millennial. American comics were selling badly as the sweet hopeful charm of Superman started to seem ridiculous and DC looked across the pond to England to a comic revolution being fought by the boys at Action and latter 2000AD. 2000AD, the punk rock of comics. Daring, visceral, violent and above all satirical of the status quo. It birthed some of the greatest comic legends of art and stories in the history of comics as they cut a bloody swath through peoples perceptions of what a comic was and what it could do. 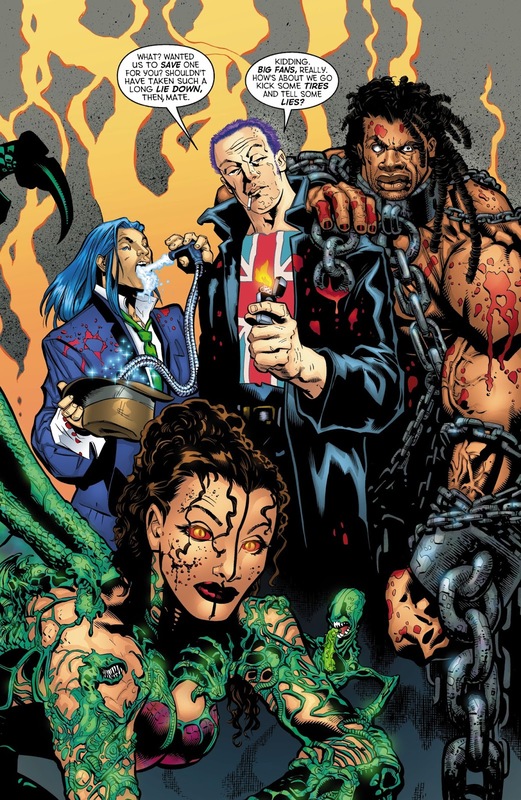 The so called "British Invasion" was the influx of these artists and writers to America and they brought with them a post-modern look at the Superhero comic, which was something a little alien to the shores of England. Superheros were simply not looked at the same way by the British and this lead to runs like Watchmen, The Dark Knight Returns, Swamp Thing, Hellbalzer, Sandman, The Boys and more. Lessons learnt and vibes cut to a fine blade at 2000AD were brought to America where it was soaked up by the eager youth that had finally found stories that reflected the world they lived in, and not some shadow world cast decades before them. While the British Invasion changed comics forever, and for the most part, for the better. It also had some shocking side effects, namely being the 90s. Now I personally love the 90s comics, as this was when I was most active as a young collector, not getting back into the hobby till I was entering my 30s. Still for every Doom Patrol and Sandman there was a hundred other comics which were little more than exploitation cinema but on a comic page. Women for example were sexulised to such a extreme that even to this day comics have not yet recovered, but the real side-effect of the Britsh Invasion was the nihilism and ultra-violence that was brought to us by the British. buckles, belts and other junk and of course the Super Mullet! So, how dose this all relate to "What's so funny about 'Truth, Justice and the American Way'?" 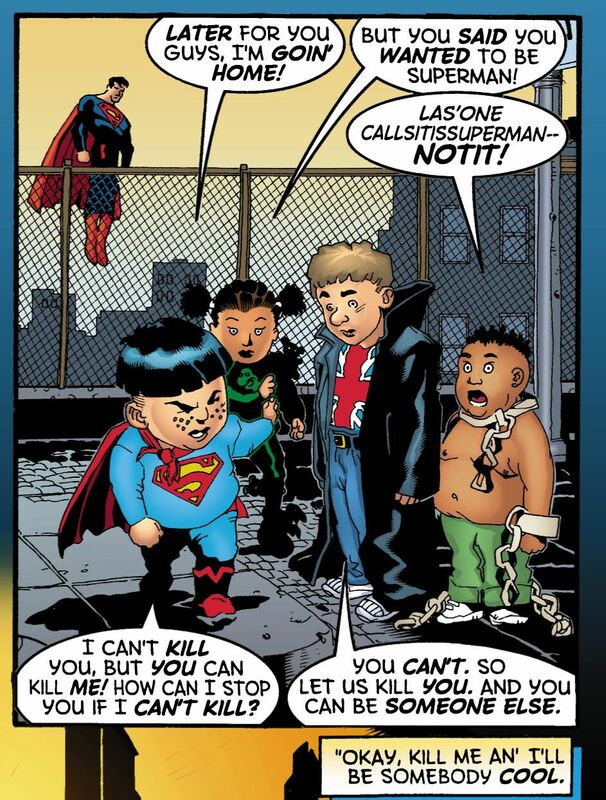 Well, this comic was written as a backlash to the direction superhero comics headed during this time. 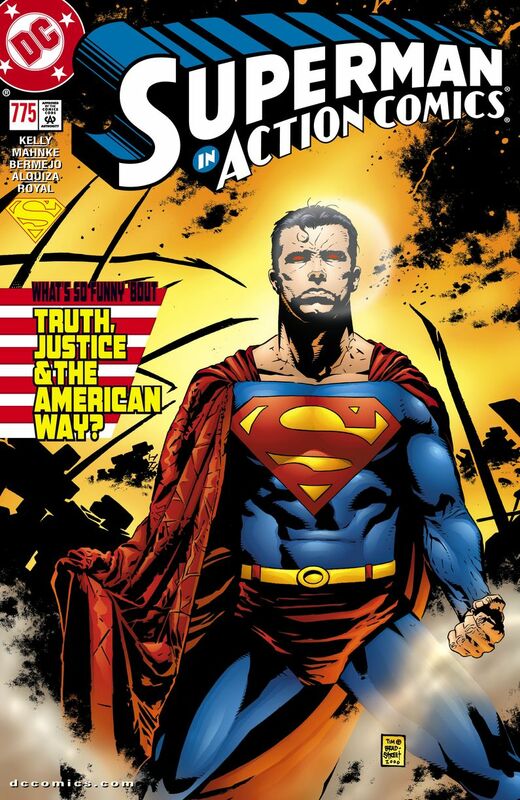 Action Comics #775 came out in 2001 during the great retreat into the classic values of the Superhero and this story expands on the themes brought up in the epic "Rein of the Superman" but in my mind it is #775 that is most clear in the forceful rejection of the British aesthetic which influenced comics so much across the 80s and 90s. Heralding the the return to the idealistic attitudes that are characteristic of hero comics. In someways this comic is a direct response to titles like "The Authority". The core concept in this comic is that a super powerful team of "heroes" appears who have no qualms about killing. They fight against bad guys but they are brutal and unmindful of collateral damage. 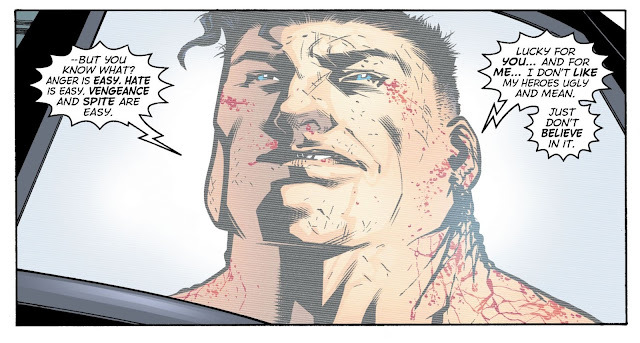 Superman, obviously has a moral stance against these guys but the beauty of this comic is in how the general populous, as in us the readers, accept these murders as heroes and hold them as role models. Superman feels rejected, out dated. His values are mocked as the populace call out for extreme solutions. These are issues that are completely relevant at this terrible time in history we live in right now. The Elite, as they call themselves are actual vigilantes but on a global super scale. This is the idea of the benevolent dictator that will find, and wipe out all they deem evil with no accountability as they are the strongest. Basically this is a fascist ideal, hence "The Elite". We have all felt this, why not send a military hit squad down to the local drug dealing thugs and kill them all.. because it is wrong that is why. Yet we as comic fans had stopped buying the old comics and were consuming at huge rates these new types of comics. This one shot is a reflection. The populous in the comic is us, the comic readers and The Elite are the British invaders and Superman, is the last hold out.. the original hero and the last hero where the line had to be draw or the idea of the "hero" would be lost. The Elite is the symbol of the British vision of the Superhero, flawed, ultravolent, dark and unaccountable. 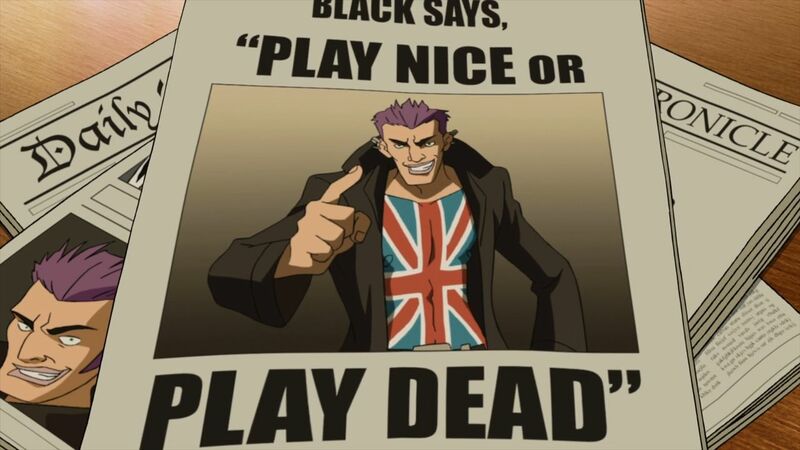 Lead by Manchester Black, who not only is named after a famous British city but sports a full body chest tattoo of the British Flag visible in all shots while spouting English slang in every bubble. 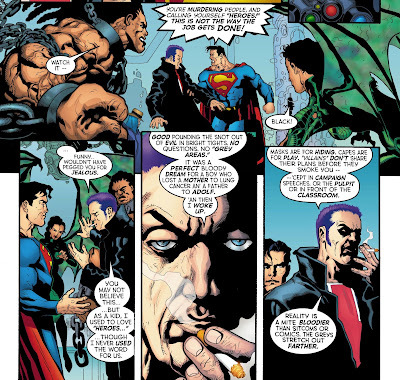 This is the nightmare vision of Joe Kelly, the writer of this tale at his realisation that this new direction in comics is the antithesis of what makes Superman, well... Super. There are some fantastic speeches in this book, from both sides as lets face it the Brits had point, still I need to remind you this is a ONE SHOT. This is all in a single issue. Amazing. In these speeches Black lays out the ridiculousness and unreality of Golden Age and Superman argues for hope and the power of dreams. What are stories really for? To crush us, or uplift us? As this is a one shot, there is a lot of spoilers going on here as there is not much content I can talk about with out giving it all away and many people are probably familiar with the tale as it was one of the great Animated Films from the DCAU. 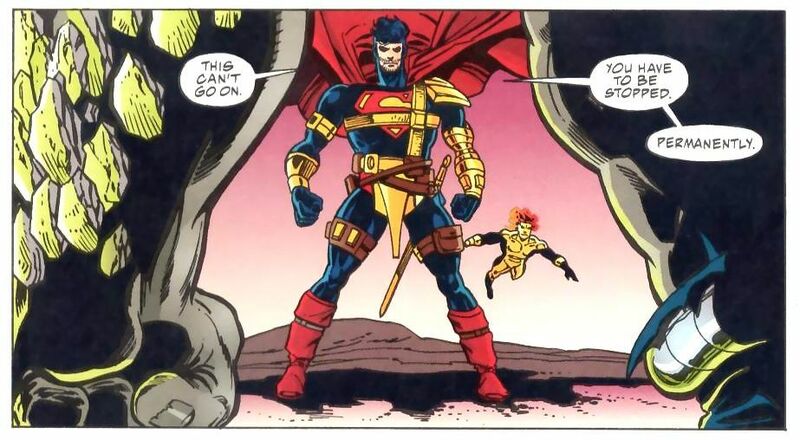 Superman vs The Elite. Still the take away for me is that this comic is really the salvation of the American Comic. The British Invasion changed everything, much for the better, but during it the American idea of the hero was lost. Something which has since been recaptured culminating in to hugely popular Rebirth. This book was written and drawn by Americans, for Americans, fighting for the soul of American Comics, and it won.